They say you should always try to avoid shooting directly into the sun. Not only can it do damage to your camera but unless you have a top shelf lens you will end up with some bad lens flare, but that’s what I was going for with this shot. A centered horizon is also a bit of a no-no, but to hell with the rules, I wanted to try something different and I’m really happy with the results. 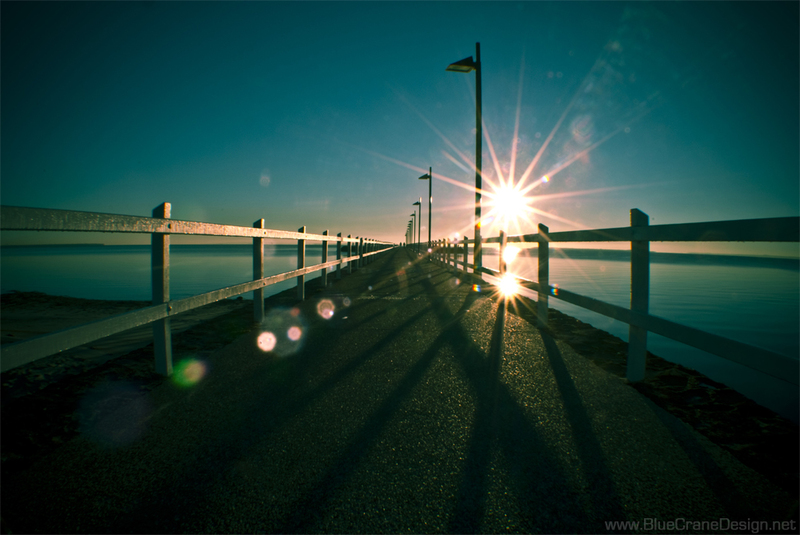 I think that this picture perfectly captures the mood of the Wynnum/Manly pier at this hour of the morning.